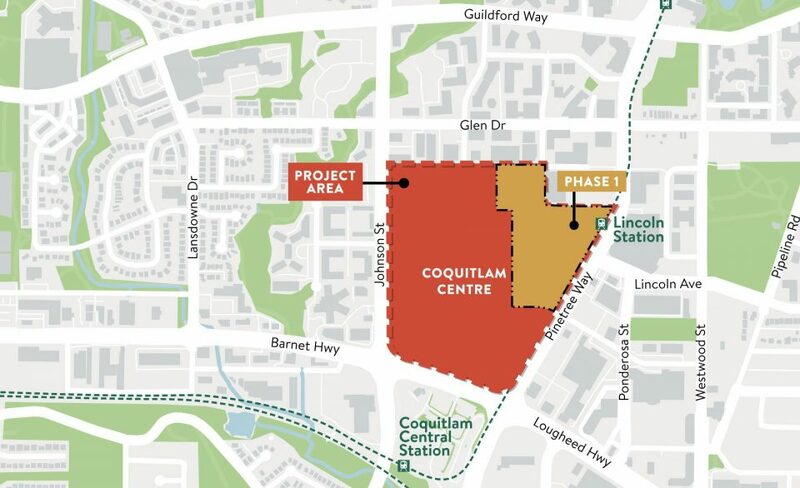 The owners of Coquitlam Centre set to embark on a major redevelopment project, transforming the suburban shopping centre into a mixed-use, transit-oriented development. 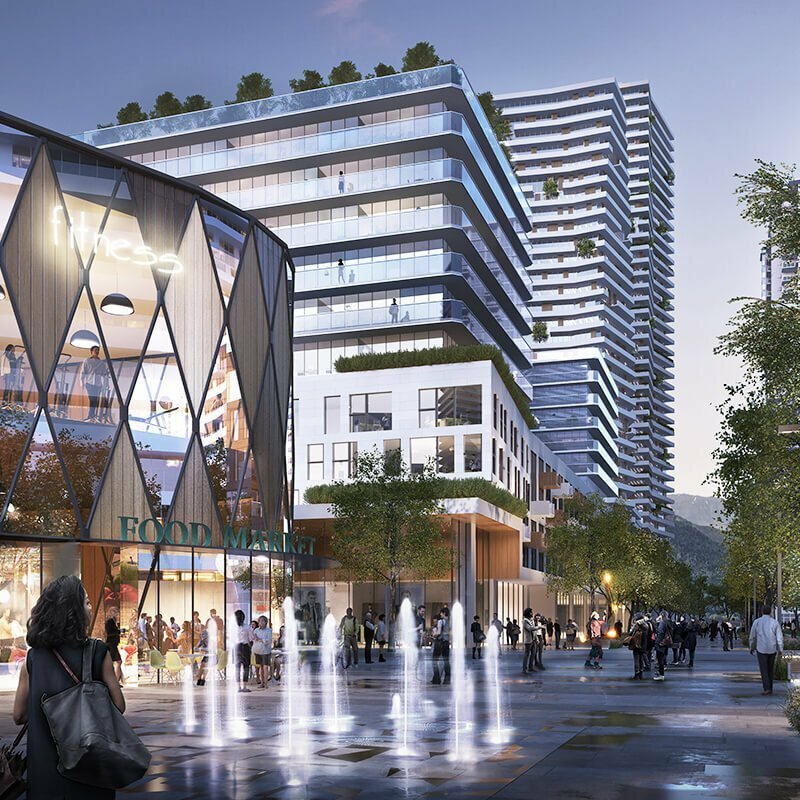 Morguard Investments, on behalf of Pension Fund Realty, plans to redevelop Coquitlam Centre in several phases over the next 60 years. 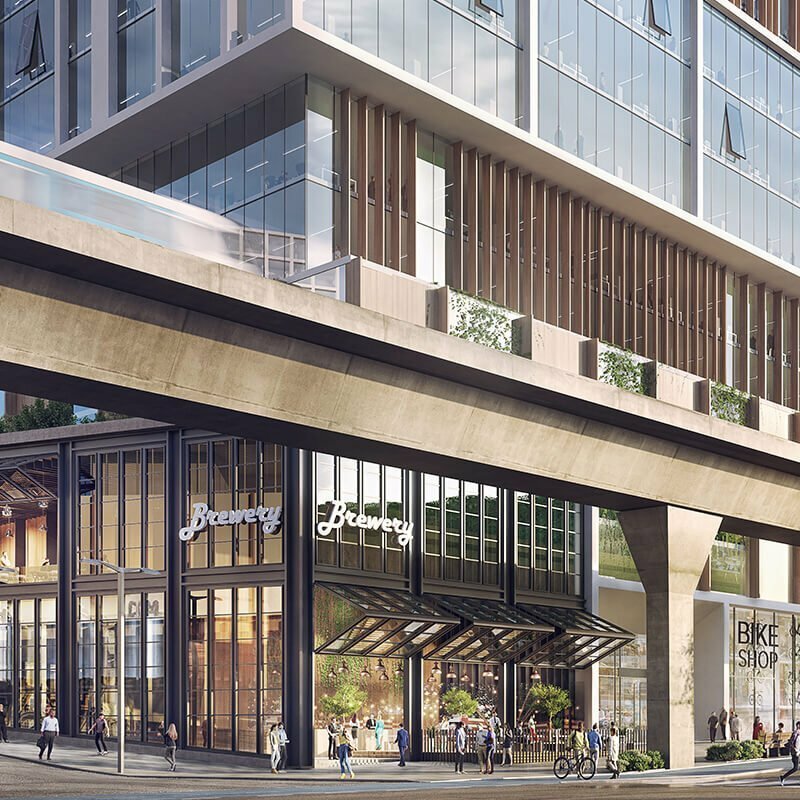 Phase one is a 16-acre area in the northeast corner of the site, next to Lincoln SkyTrain Station on the Evergreen Line. 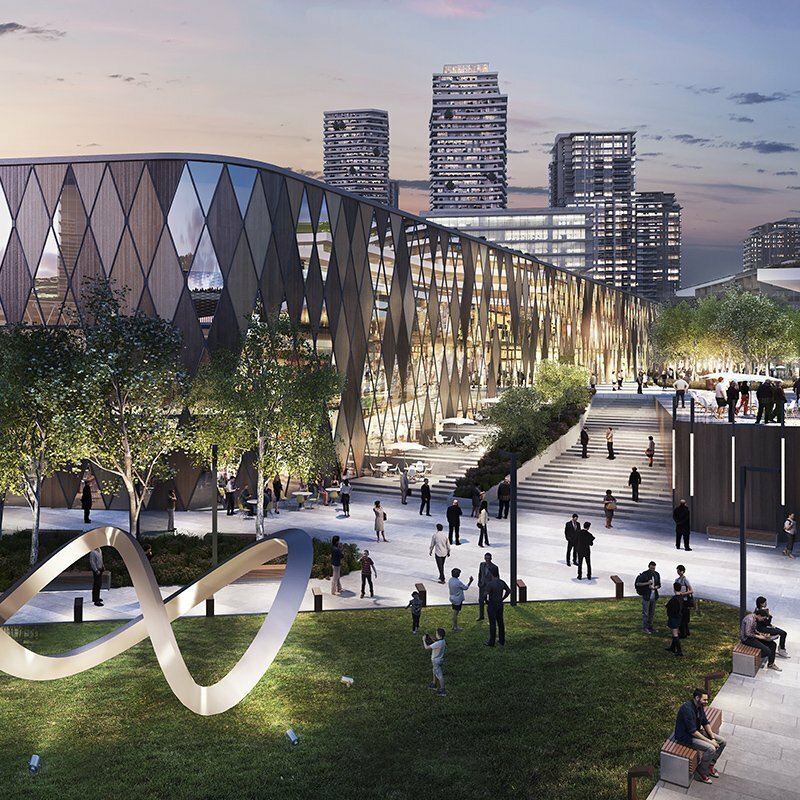 It includes the former Sears site and the east parking lot. 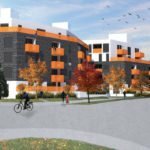 Morguard says phase one will be built out according to market demand. 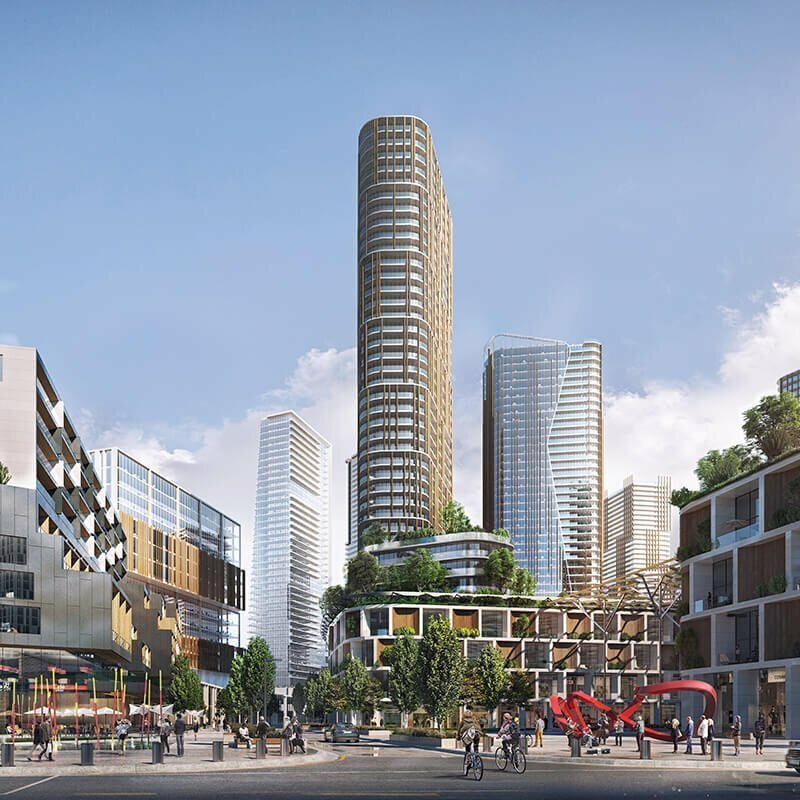 It could include up to nine towers, as well as retail and office space. 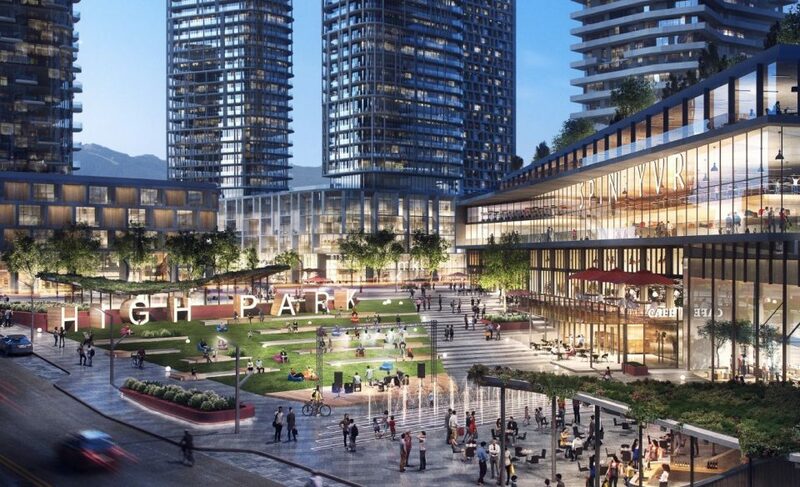 The idea is to transform the Coquitlam Centre property into the city’s new downtown core. 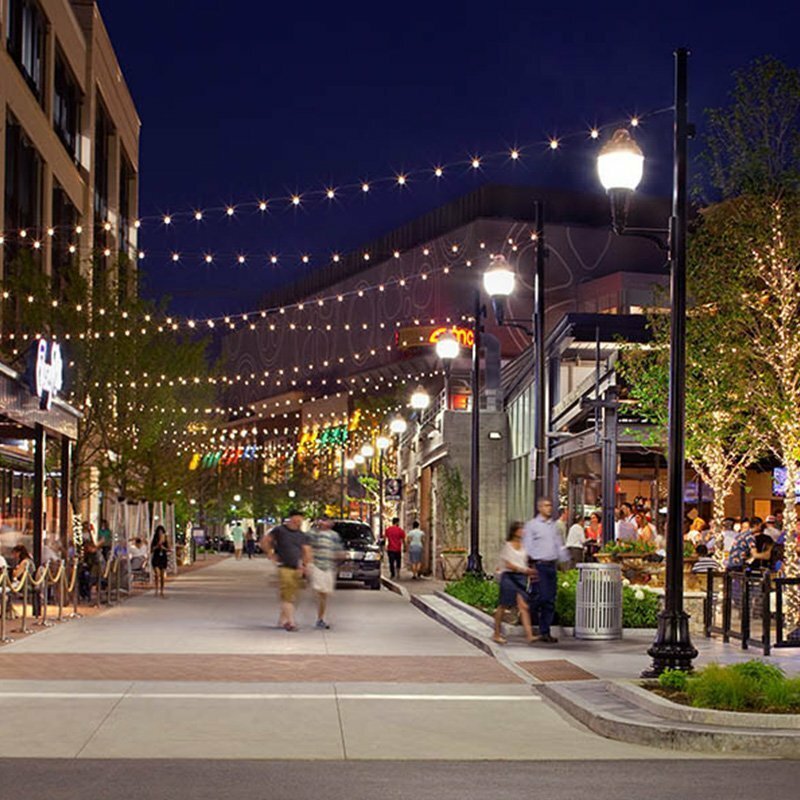 The neighbourhood is envisioned as a walkable, transit-oriented district with high-density residential, retail, office and civic space. 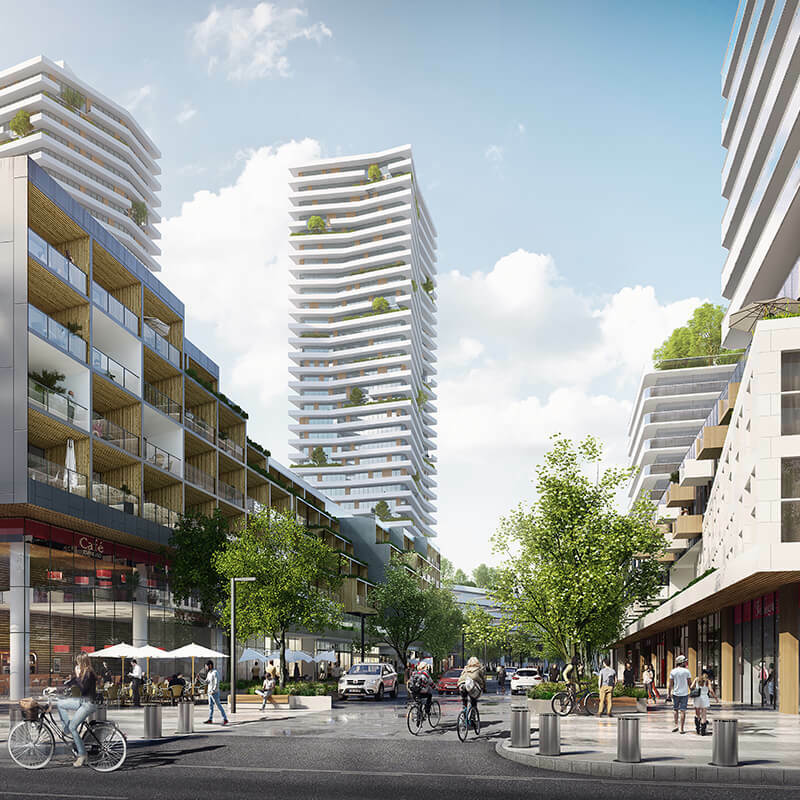 The development of phase one requires amendments to the city’s official community plan as the parcel is currently zoned for commercial use only. 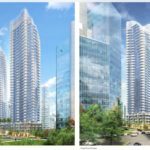 Morguard expects the City of Coquitlam to grant the amendment and rezoning within eight to ten months. 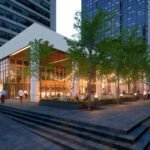 A formal concept design will be unveiled in Spring 2019, but in the meantime, Morguard has posted several conceptual renderings. 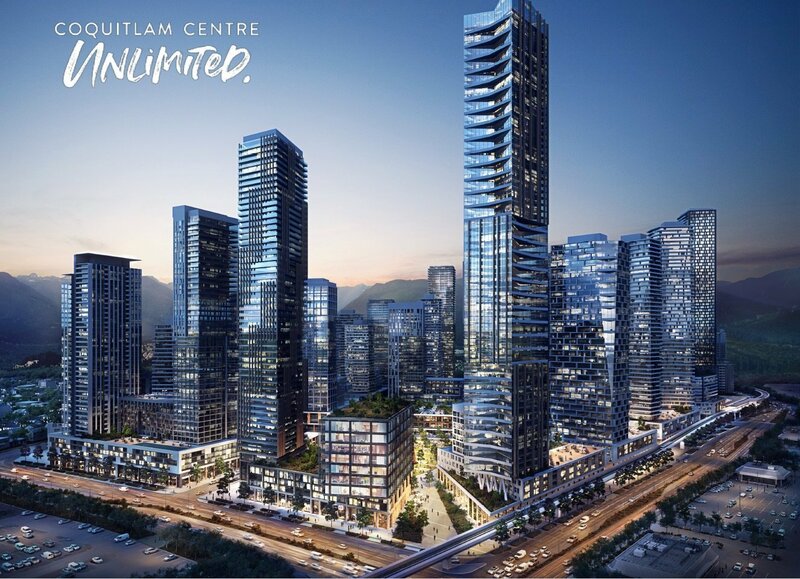 Visit the Engagement Centre at Coquitlam Centre on the Main Level between December 6-15, 2018 during regular mall hours. 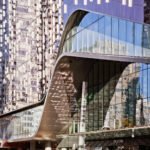 A public hearing is planned for Fall 2019. 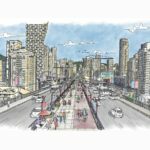 Morguard has launched a website — Coquitlam Centre Unlimited — with more information on the redevelopment project. Coquitlam Centre opened to the public in 1979, and was expanded in 2001. 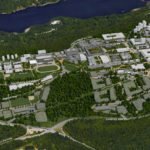 It has over 200 stores, including anchor tenants Walmart, Hudson’s Bay, Best Buy, London Drugs and T&T Supermarket. It was briefly the location of a Target store before the Canadian division filed for bankruptcy.